Renee Fleming at the Bill Blass Spring 2006 fashion show during the Olympus Fashion Week. Renee Fleming at the Carmen Marc Valvo Fall 2005 fashion show during the Olympus Fashion Week. Renee Fleming at the premiere of "Mother Courage And Her Children." Frank Langella and Renee Fleming at the premiere of "United 93" during the Fifth Annual Tribeca Film Festival. Renee Fleming at the Fifth Annual Classical Brit Awards. Renee Fleming and Bryn Terfel at the Fifth Annual Classical Brit Awards. Renee Fleming at the play opening of "I Am My Own Wife." Renee Fleming at the Kenneth Cole Fall 2005 show during the Olympus Fashion Week. Renee Fleming at the opening of Richard Meiers art exhibition. 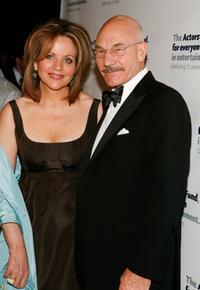 Renee Fleming and Patrick Stewart at the Actors Fund Annual Gala. Renee Fleming at the Actors Fund Gala 2008. Renee Fleming and Alec Baldwin at the Actors Fund Annual Gala. Renee Fleming at the premiere of "Frost/Nixon." Frank Langella and Renee Fleming at the after party of the premiere of "Frost/Nixon." Renee Fleming at the Echo Klassik Award 2006. Renee Fleming at the Metropolitan Opera 2006-2007 season opening night. Renee Fleming at the benefit performance of Shakespeare's Macbeth.